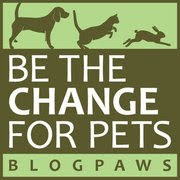 BlogPaws Wordless Wednesday/New Year's Eve Pet Blogger Hop! The good folks at BlogPaws are ringing in the new year with lots of photos of community members' furkids and big plans for 2015...don't miss all the talk about what the new year will bring for pet bloggers! You're sure to be inspired! Whadaya mean you're forced to sit on the floor in your own house? 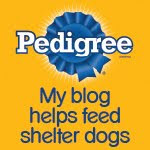 Now on to the BlogPaws "New Year's Eve Edition" of the Wordless Wednesday Pet Blogger Hop! Why not stop by a few blogs and make some new friends for the new year? Happy New Year! We will be ringing in the New Year on the Sofa as well! In our house, the dogs and cats sometimes make room for the humans to fit on the couches. Wishing y'all a happy and healthy 2015! Sending you are WISH to have a very much HAPPY NEW YEAR..
We're not allowed on the sofa and chairs but we do have comfy beds everywhere. Happy New Year! Happy New Year to you and your family, Bocci! I've working my way through ALL the blogs listed on this Blog Hop :-) Such a great opportunity to make new friends ~ K9s & felines alike! Happy New Year's from our pack at K9sOverCoffee!